Clarius Mobile Health revolutionized ultrasounds. Xilinx’s technology helped get them there. IoT-connected, portable ultrasound machine leveraged Xilinx’s Zynq programmable SOC solution. 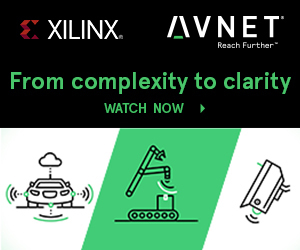 Avnet connected Clarius to Xilinx’s technology—some of which wasn’t even on the shelves yet. What are the 5 Biggest Myths About Developing Embedded Vision Solutions? Are embedded vision solutions complex? Expensive? Strictly about software? 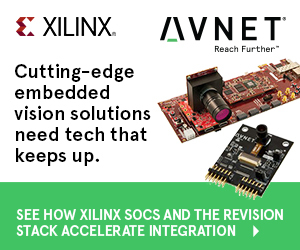 Get answers to your top questions about developing embedded vision solutions, right from Avnet & Xilinx. We’re at the moment of truth with embedded vision systems as scores of new applications means designs must go up faster than ever—with new technologies dropping every day. But isn’t embedded vision complex? Lacking scalability? Rigid in its design capability? Truth be told, most of those ideas are myths. From the development of the first commercially viable FPGA in the 1980s to now, the amount of progress that’s been made has revolutionized the space. So while it can be complex to decide how you’ll enter an ever-changing embedded vision market, it’s simpler than it used to be. It’s true: Real-time object detection used to be a strictly research enterprise and image processing a solely software play. Today, though, All Programmable devices enable system architects to create embedded vision solutions in record time. As far as flexibility goes, you’ll find something quite similar. In the past, programming happened on the software side because hardware was preformatted. But FPGAs are more customizable. They contain logic blocks, the programmable components and reconfigurable interconnects that allow the chip to be programmed which allows for more efficiency of power, temperature and design—all without the need of an additional OS. Ready to bust some more myths around embedded vision? Watch our video breaking down the five biggest myths around embedded vision development.